Each month the United States Department of Agriculture (USDA) releases its world agricultural supply and demand estimates report (WADSE). The report often stimulates volatility in the markets that the USDA reports on. When it comes to commodities, the agricultural sector tends to be extremely sensitive to weather. Each year crops are the result of plowing soil, fertilizing and seeding- then it is up to Mother Nature to provide conditions that lead to successful crops. Crops grow all over the world. While the United States is the world's largest producer and exporter of corn and soybeans, these crops grow in other countries as well. When it comes to wheat, the U.S. is less influential as wheat production occurs in Europe, Australia, and other regions. Many soft commodities like sugar, cocoa, and coffee require specific climates. These crops tend to grow in warmer, tropical climates. The point is that these are all volatile commodities and as such, their prices move around based on the progress of crops through the trials and tribulations of their crop cycles. As such, consumers, producers and traders pay a great deal of attention to weather patterns in growing regions as well as crop progress in order to monitor potential price direction and volatility. 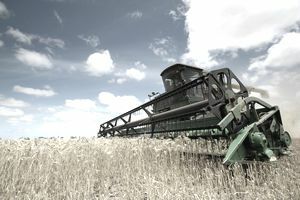 Disease such as fungus and other crop issues, which may change harvest yields, also affect the progress of agricultural crops and commodity prices. In order to monitor prices of agricultural commodities, market participants conduct both technical and fundamental analysis. Technical analysis concentrates on price patterns as well as the volume and momentum of futures prices on price charts. Fundamental analysis is the study of granular supply and demand data. When it comes to agricultural commodities, crop progress is an important part of fundamental analysis. The reports issued by the USDA can be extremely helpful to market participants in the agricultural commodities sector. USDA reports cover a whole host of agricultural commodity markets. The USDA reports are so important to market participants that analysts often attempt to predict USDA data in advance of reports. When the USDA releases its' reports grain and other agricultural commodity markets tend to move based on the data. This is particularly true when the data released differs from the consensus of analyst estimates. The USDA reports on grains including corn, wheat, soybeans as well as others. They also report on livestock- cattle and hogs, cotton, sugar, wool, dairy products, broiler hatchery, rice, specialty crops, peanuts, poultry, turkeys, oranges, potatoes and a whole host of other agricultural commodities. The agency reports almost on a daily basis, it is hard to find a day when the agency does not have a report coming out. However, the most eagerly anticipated report is the monthly WASDE report. This report not only covers agricultural commodity production in the United States but around the world. According to the USDA website, "The World Agricultural Outlook Board (WAOB) serves as a focal point for economic intelligence and the commodity outlook for U.S. and world agriculture. The Board coordinates, reviews, and approves the World Agricultural Supply and Demand Estimates report, houses OCE's Joint Agricultural Weather Facility, and coordinates USDA's Agricultural Outlook Forum". The USDA releases its all-important monthly WASDE report, usually between the 10th and 12th of each month at noon Eastern Standard Time. Each month during the release of the WASDE report, agricultural market participants hold their breath; they all know that the data released is always likely to cause huge volatility in markets. Anyone trading or investing in agricultural commodity markets should keep an eye on the USDA's reports in order to monitor the ever-changing landscape for these volatile commodities. The USDA also has a range of programs and services for the agricultural markets. The USDA is the go-to agency for monitoring the state of agriculture in the United States and around the globe. Agricultural prices have been in a bear market since the drought of 2012. Prices have fallen on almost all agricultural commodities since they made highs in 2011 and 2012. As of the end of 2015, the prices of soybeans and corn were less than half the prices they traded at in 2012. The prices of all grains and other agricultural commodities declined because of three straight years of bumper crops. Supplies and inventories have been ample enough to meet global demand. Meanwhile, global population continues to rise. In 1960, there were around 3 billion people on earth, today there are almost 7.4 billion. This means that there are more mouths to feed and that requires more food. At the same time, there is a finite amount of arable land on which to grow crops and water for those crops has become scarcer. The demographic effects of population growth have changed the fundamental supply and demand equation for grains and other agricultural commodities. In years where there are bumper crops, supply continues to meet demand. However, when global crop yields fall due to weather events or crop disease, price shocks will occur and the likelihood is they will be worse than in the past due to the natural increases in demand due to population growth. Moreover, the strongest El Nino since 1997 and the potential for a La Nina in 2016 could affect crop output in the months ahead due to weather events. Therefore, watching the monthly WASDE report issued by the USDA has become an imperative for all traders and investors. These reports can provide clues as to changes in the supply and demand balance for world agricultural markets.